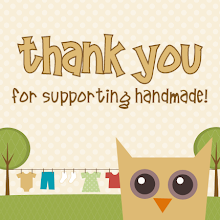 Owly Baby: Fabric Destash Sale! I've just realized I have more fabric in my closet than I could ever hope to sew! Please help yourself to some fabulous fabrics, help me raise some funds AND clear out my closet! American Jane, Alexander Henry, Heather Ross, Urban Chiks, Katie Jump Rope and more! Original Flea Market Fancy, I can't believe I'm selling it! Suzuko Koseki Sewing Prints, all 9" x 11"
Lots of Heather Ross in there! Come check it out! FABRIC SALE HERE! Did you know that you can shorten your long links with AdFly and get dollars from every click on your shortened urls.